Get ready for a Frozen-themed birthday party or just a Frozen-themed birthday photo shoot with this awesome Frozen photo prop set. 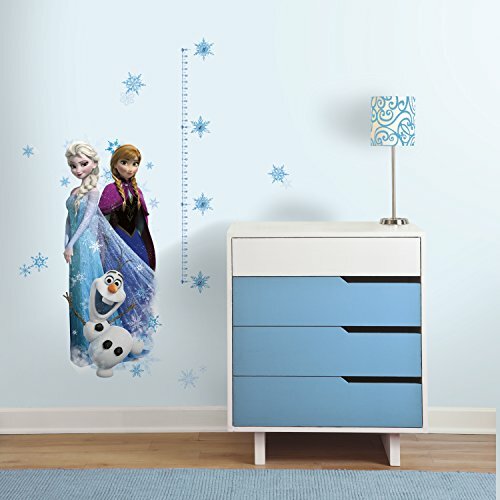 You'll get a fun little birthday banner backdrop with Anna, Elsa, and Olaf, plus birthday balloons and a set of fun Frozen photo props! 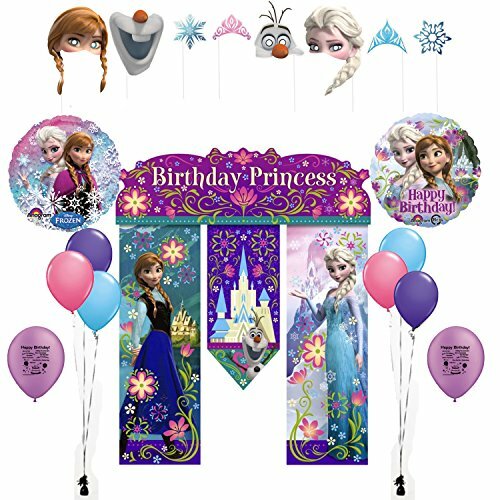 The graphic banner includes the title Birthday Princess and has three hanging banners. Note that this is not a large wall-sized background but a fun birthday banner than can be used to decorate your birthday party. The set also comes with matching mylar and latex balloons. 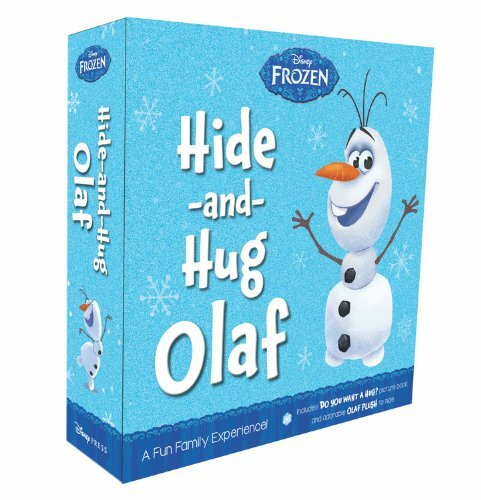 The real fun of this set comes from the awesome Frozen-themed photo props. Guests can use the partial masks of Elsa, Anna, and Olaf. You'll also get snowflakes and a pair of tiaras worthy of the Arendelle sisters.